December flies like no other, yet it is during this very month that we insist on stretching our hours for all they are worth. We strive to spend as much time as possible with those nearest and dearest to us, and we have the best intentions of showing our loved ones just how much they truly mean to us. But at a time when everything is so hectic and the arms of the clock seem to spiral out of control, we don’t always get to fulfill these intentions. In order to help you out, we created a handy gift guide with everything conveniently available from local Long Beach shops on Second Street. Take a second to browse through, because we guarantee it will save you the precious time you so desperately need during the holidays. At Romance Etc., there are a variety of options that are sure to peak a traveler’s wanderlust. From travel books and walking guides to travel-inspired décor and mementos for around the house, there is a great variety to choose from. 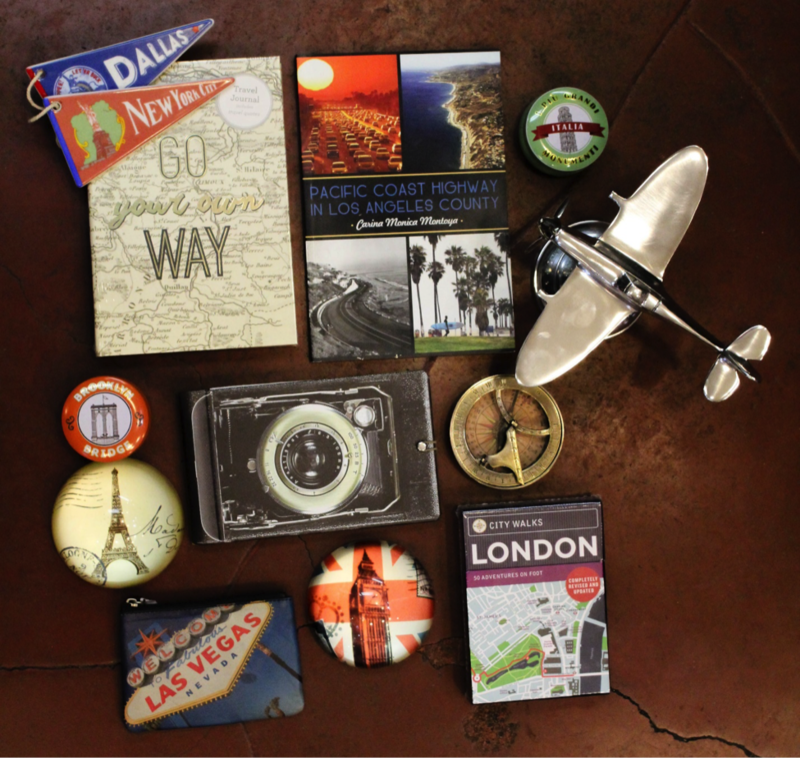 These gifts will bring back fond memories of travel for your loved one and may even inspire a future trip, which will be sure to elicit even more happiness. Papyrus, which has one of its locations right on Second Street, offers everything from a cheeky coffee mug to an aesthetically appealing coffee table book. The homebody in your life will surely appreciate your effort in giving their home a little more flair and personality. When it comes to shopping for men, there seem to be a lot fewer options to choose from. However, at Blue Windows, we were able to select a few standard staple items that are just a little more special and are sure to please. It’s all in the details. This small but varied shop also offers gift options for expecting parents or young nieces or nephews. These sweet gifts will be a great way to show them just how much you care. Let them indulge in their guiltiest pleasure of cuddling up with a good read by providing them with a new book! The reader in your life will appreciate the thought that went into selecting a story you feel would most appeal to their taste. It will provide them with hours of enjoyment. At Apostrophe Books, you can find best sellers, classics, and works from local Long Beach authors. Runner’s High has two Long Beach locations; one is on Second Street, and the other is on Stearns Street. You can purchase new athletic gear and equipment at both locations, and they’ll surely be put to use by your favorite fitness nut. Look for unique details such as a bold logo or strap detail for tops, and pair it with a matching piece of equipment like a belt strap or water bottle for a very thoughtful and practical gift. We hope you were able to pull some inspiration from our list and can stop by and support these local shops located in your own backyard. Happy shopping from all of us at DIG!